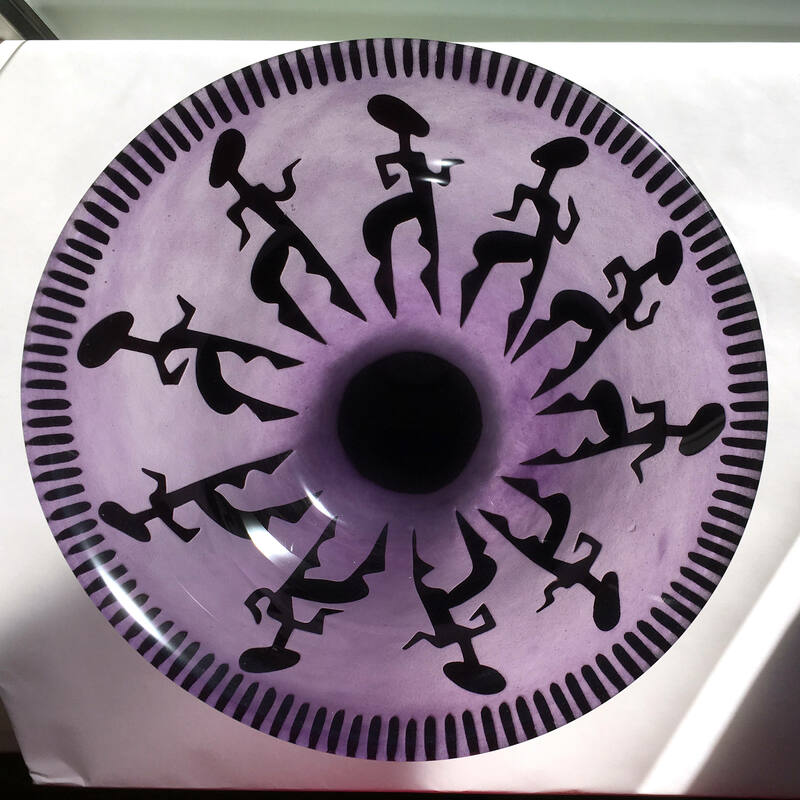 This beautiful bowl is 8 inches wide and stands 5.25 inches high. 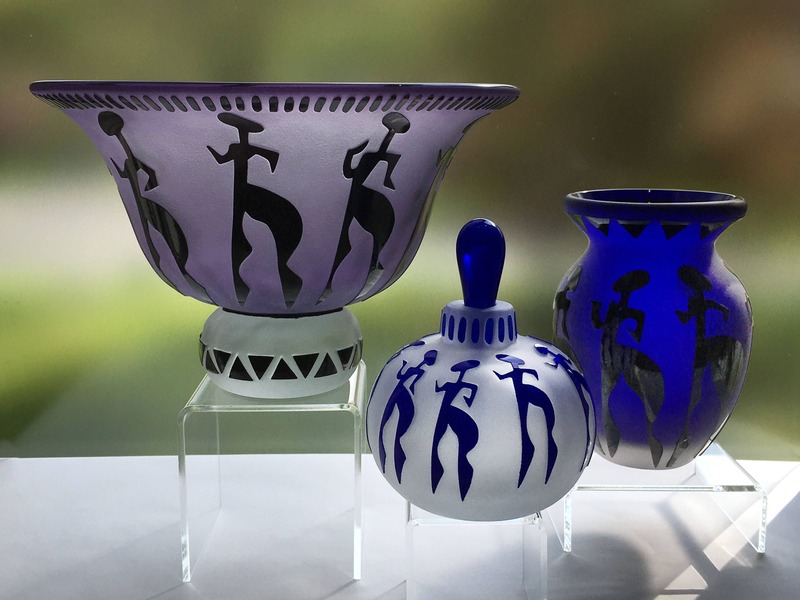 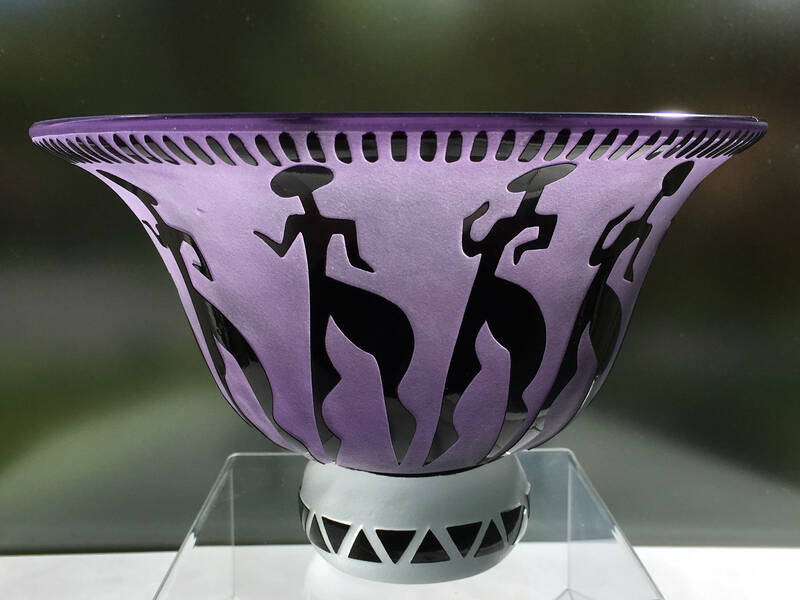 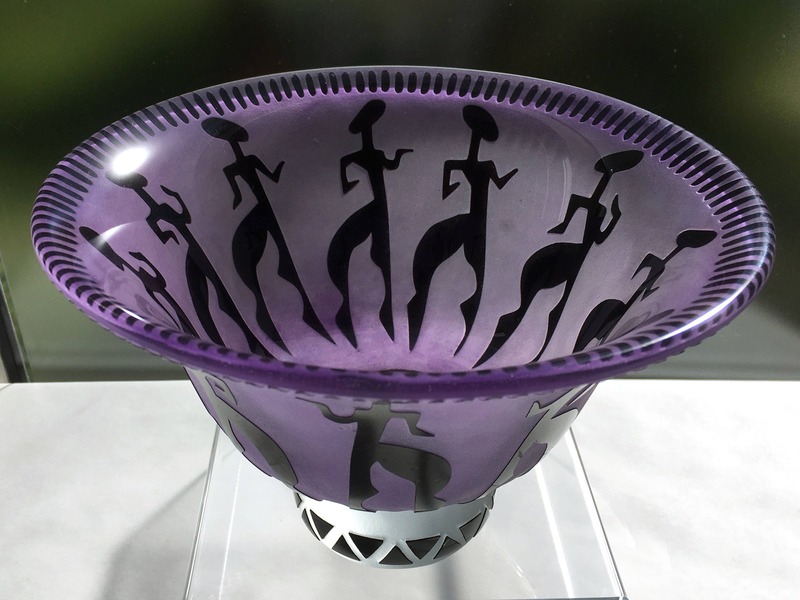 The outside of the bowl is frosted purple glass, the bun-shaped pedestal is frosted clear glass, and the raised figures and designs are shiny black glass. 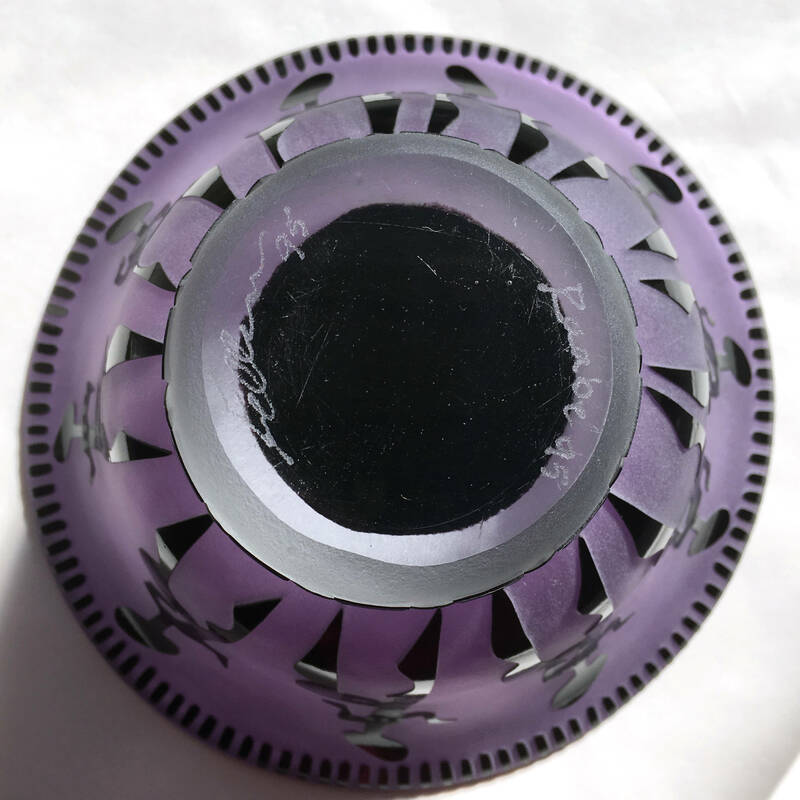 I see no damage to the piece - it is in lovely condition.